You may have notice I do tend to rumble about my family quite a lot when I begin writing: it is because I am a dreamer by nature, and like reminiscing quite a lot. I am also pretty lucky, in the sense I had a very much ideal childhood, which left me with plenty of amazing memories to share, and two grandmothers who cooked divinely, which means I have a lot of kitchen related anedoctes to tell. Believe it or not, though, when it comes to New Year’s Eve, I’m lost: Capodanno is one of those celebrations you start caring about when you’re a teenager, because it’s a night where you’re allowed to stay out for longer with your mates and, let’s face it, who gives a damn about food and dinner when you’re 16 and experiencing freedom for the first time? My teenage Capodanni where organized at whichever friends’ whose parents were away for the holidays, food was whatever the deli counter at the supermarket had, plus some tortellini from the freezer and a pandoro, all watered with rivers of the cheapest spumante our pocket money could allow us to buy. As a kid, I remember spending Capodanno with my family, but neither my grandparents nor my parents were big into organizing parties: we would eat a nice meal, then very likely watch one of the Capodanno tv specials on the telly until midnight, when a nice pandoro would be cut and eaten, a glass of soda for me, one of spumante for the rest of the family. I have memories of my parents having friends over, at times, but it was all very quiet and relaxed. Our Capodanno’s dinner was usually a (delicious) carbon copy of what we had for Christmas: homemade starters and cappelletti in brodo, bollito or hen with very, very creamy mash potatoes and a lot of homemade sauces, nuts and dried fruit, and pandoro instead of panettone for dessert. As you can see, even if Capodanno was usually a subdued affair compared to Christmas, there was still plenty of food to get through to keep us going until midnight. In truth, Christmas is a much more traditional moment than Capodanno, even in the kitchen: it is, in the end, so also when it comes to the way we celebrate. Christmas is a strictly familiar holiday, a quintessential moment of unity of each and every family, who gathers around gargantuan meals and catch up with relatives. Capodanno, on the other hand, is often spent with friends, eating out is more usual (only a small percentage of Italians would eat out at Christmas, whereas a cenone di Capodanno at the restaurant is a normal occurence everywhere in Italy) and, when it comes to food, tradition mixes up with experimentation and innovation, something you’d be push to find on a Christmas table. 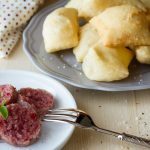 If it’s certainly true that the cenone is a pretty big deal in the country, and that there are traditional dishes you pretty much find on every table, the essence itself of the celebration, and the fact it’s less family-oriented than Christmas, leaves in a way more space to introduce new flavors and ideas to it. Some make the zampone e lenticchie a pièce de résistance of their New Year’s Eve dinner, others prefer to serve it rigorously at midnight, as tradition wants. So, what really gets on Italian tables on the 31st of December? What do we cook and what do we drink? Read on to find out! So, what are you more likely to find on an Italian table on New Year’s Eve? 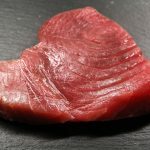 Well, often, it’s a bit of a “surf and turf” affair, as fish and meat both play a pretty important role in it. Fish is often a favorite for starters, and meat rules sovereign as a main, served after a pasta dish of, usually, cappelletti, ravioli or lasagne. 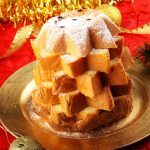 When it comes to dessert, Capodanno plays second fiddle to Christmas, as we usually have panettone and pandoro again. However, it is common to serve them with homemade fillings of various sort, such as mascarpone cream, crema pasticcera, chocolate ganache or zabajone (one of my best friends makes a pandoro farcito to die for… I may leave you the recipe…). When it comes to zampone e lenticchie, some like to serve it together, the latter as a side to the former, both accompanied by mashed potatoes. Others like to “deconstruct” the dish a bit and serve a lentil soup and the zampone on its own with mash. Once again, as Capodanno leaves you free to experiment in the kitchen a bit more than Christmas, it’s really up to you. Personally, I rather have them together with mash potatoes, and have a nice plate of cappelletti in brodo as a pasta dish. Of course, as we said, if you really want to follow the whole lentil-ritual, you should serve them and the trotter at midnight after the cenone. This may seem a lot to take into your stomach, but if you consider that celebrations go on well into the early hours of the morning and that good wine and spumante flow freely, an extra serving of food late at night is not such a bad idea. A couple of years ago I went to a house party at a friend’s place and we didn’t simply have cenone and zampone e lenticchie at midnight, we even ended up making spaghetti aglio, olio e peperoncino (spaghetti with garlic, olive oil and chilli) at 4 in the morning. So, yeah. Not that unusual and certainly not the worst it can happen to your stomach on New Year’s Eve. Starters, as we said, are often fish based: prawn cocktail and smoked salmon are very common. However, if you want to eat your smoked salmon as we do in Italy, you should forget the butter and, rather, lay the sliced salmon on a large plate and drizzle it with extra virgin olive oil, fresh lemon juice and a sprinkle of pepper. We usually eat toasted bread with it. Capesante, which is Italian for scallops, are often served on New Year’s Eve as a starter and they’re pretty delicious, especially when served with the right sauce. As already mentioned, our primo di Capodanno is usually based on filled pasta, just as it happens at Christmas in large part of Italy: cappelletti or raviolini in brodo, ravioli with ragù sauce or with butter and sage, if you are from the north. Fresh tagliatelle or baked lasagne, are also popular options. When it comes to drinking, Capodanno is the night of Spumante. 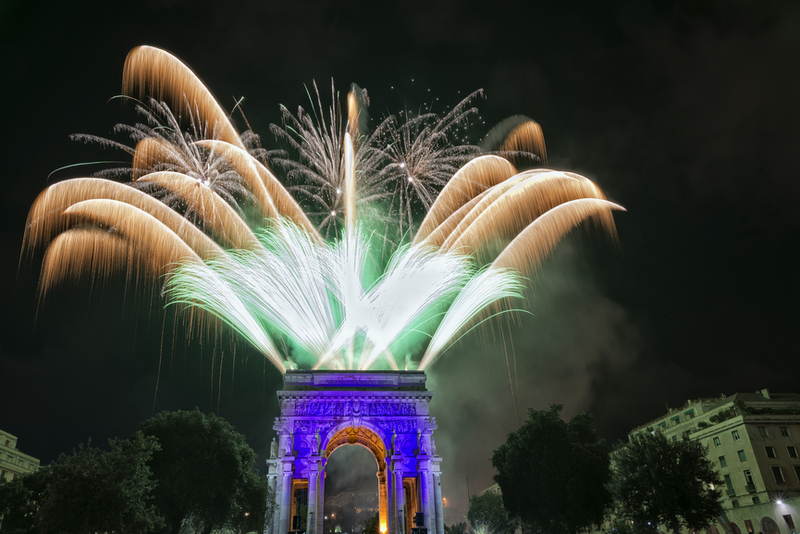 In Italy, forget about champagne: when it comes to food and football, we get pretty damn patriotic, so leave champagne to beautiful France, get down to the store, get yourself some Spumante d’Asti DOC and cheer the new year in true Italian fashion. So, what about some recipes to get yourself busy in the kitchen and gain some well-deserved praise from your guests? We’ll begin with a couple of starters, then pass on to the ubiquitous zampone and lenticchie and, lo and behold! 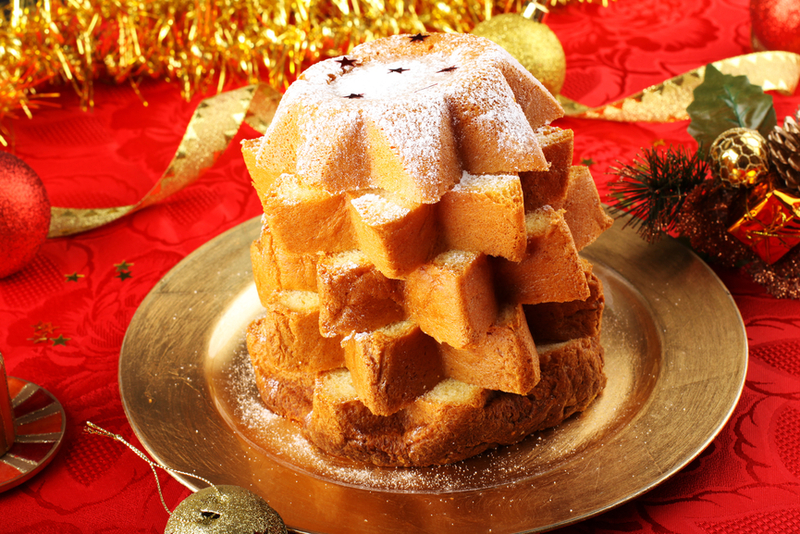 I will share with you my friend Antonio amazing recipe for pandoro farcito. I will also add a recipe for zabajone, an egg and marsala based cream, delicious hot and cold, which goes amazingly well with both pandoro and panettone. Ok, get yourself pen and paper, make your shopping list while you read and get ready to cook! This recipe yelds four servings, so multiply accordingly if you have more guests. 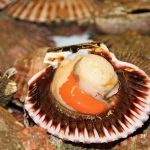 The first thing to do is to clean the scallops: with a tea towel, take them in your hands, keeping their flat side up. Place the blade of a knife between the two shells, lift the flat one up and it's done. Slice the scallop off the shell by passing the knife's blade underneath it. Keep the shells and throw everyhting else. Now, think of the sauce: melt a bit more than half of the butter in a thick-bottomed pan, then add slowly the flour and the hot milk, using a wooden spoon to stir, and making sure the mix is smooth. Add nutmeg, salt and pepper to taste and let the sauce simmer until it gets thick and velvety. Once it is ready, take it off the stove and let it cool slightly before adding the grated gruyère cheese, the fresh cream and the egg yolk. Mix it all well, then place it aside, making sure to cover it with some cling film first. Our attention now is all for the scallops: bring a liter of water with a splash of white wine to the boil in a large saucepan. Add salt, pepper, a branch of parsley and the carrot and onion, chopped. Drop the scallops in and let them simmer for 2 minutes. Then separate the white, meaty body of it from the rest, slice it and set it apart. Wash the shells well, dry them and place them on a large oven dish, then put the sliced scallops in them, and cover them with the Mornay sauce. In a mixer, ground the bread with the garlic and some more parsley, then sprinkle the mixture on the scallops. Before baking them, pour over them the remaining butter, melted. Bake at 200 celsius (about 390 fahreneit) for about 10 minutes. 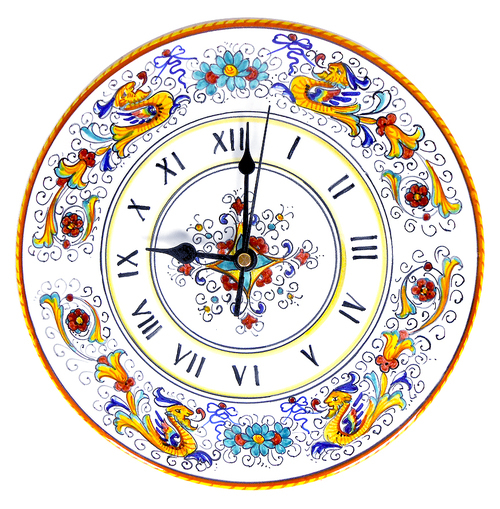 I admit it, this is a must on my family’s table on Christmas day, but it is often served as a starter in my region, Piedmont, also on New Year’s Eve. Its name is pretty funny, as it translates as “tuna salami”, even though there is no salami in sight in this recipe. It is, however, a well established Italian habit to call “salame” anything edible shaped like a roll: salame di tonno (tuna salami), salame dolce (sweet salami) when it’s thinly baked yellow cake covered with jam or chocolate and rolled in a, well, roll… you get the geist. Salame di tonno is a cheap and cheerful dish, easy to make and very tasty indeed. I made it for Christmas this year, and my brother was very happy: our grandmother used to make it too, and he had not had it since she passed, 15 years ago. Ideally, you should serve it with homemade mayonnaise, even better if you make a sauce in the mixer with home made mayo, a handful of capers and one salted anchovy. Really, do try to make the mayo yourself, it is totally worth the effort! In a large bowl, place the tuna (drained of most of its oil), the finely chopped anchovies and parsley, the eggs, the breadcrumbs, a pinch of salt and one of pepper. Mix well with a spoon, until the mix is smooth. If you wish to have an even smoother texture, you can use a mixer. Take a piece of tin foil large enough to wrap the mixture in. Place the mixture on the tin foil and shape it like a roll, then wrap it tight and close it at the side as if it were a piece of candy. Bring a good amount of water to the boil in a large pan, just about the same amount you would need to cook pasta. When the water boils put the wrapped salame in it and boil for 20 minutes. Once this is done, take it out of the water carefully, as the tin foil is going to be very hot and let it cool completely before unwrapping it. It is very important you do not try to unwrap it when it is still warm, as it would stick to the foil and get ruined. Once out of the foil, cut it into slices of about 1/2 inch, place on a plate and serve with freshly made mayonnaise on top, or on the side. 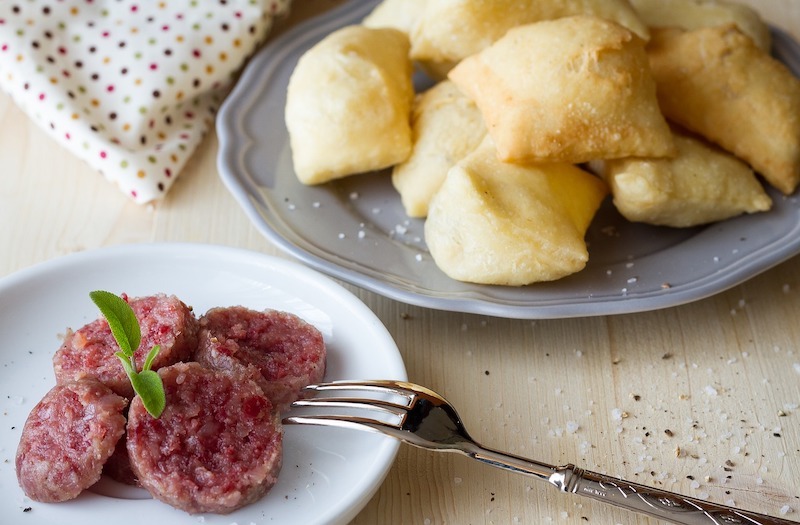 This is the Italian dish for Capodanno and, even though it is not particularly difficult to prepare, some cooking hints will help you to make it perfect. 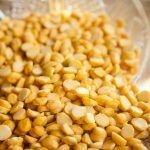 Lentils, in particular, can be made in many a way, but I personally enjoy a simple, hearty stew to go with the rich taste of zampone. I must admit I am not sure where these are sold in the US, but I am pretty sure that any good deli should have them around this time of the year, especially in larger cities. In case you cannot find them, you can try the online route here or here. Most of what you would probably get is the precooked variety of it, which is just fine. Fresh zampone are only sold at the butcher’s in Italy, so I assume it is the same on your side of the pond, too. Precooked zampone has a couple of advantages over its raw companion: first of all, it takes way less to prepare. Second, it is somehow safer to eat, too, as it is steamed before being packed. one 1 kg zampone of Modena. With a precooked zampone, all you need to do is to bring plenty of water to the boil in a pan large enough to hold the zampone itself; when it boils, just place it, still in its alluminum wrapping, in it and cook it for 30 to 40 minutes. Nothing more, nothing less than that. Usually, cooking instructions are printed on the box, so you can always follow those. If you have a fresh zampone, you have to start prepping it the night before serving, by immersing it in plenty of cold water for the night. By doing so, the zampone is washed of the extra salt used to preserve it, which results in a milder, more delicate taste. On the day of serving, prick the zampone with a fork and, with a knife, make little cuts under the trotter's nails, so that extra steam can be released during cooking time and the zampone will not "explode." Once this is done, wrap it in a clean, white tea towel and secure it with kitchen thread at both sides. Place it in a large pan, cover with water and let it boil for about 3 hours on a medium heat. When cooking zampone, nevermind if fresh or precooked, remember not to add salt to the water, as it is already pretty flavorsome on its own and extra salt would only spoil its taste. Chop the carrot, onion, celery and shallot thinly and prepare a soffritto in the extra virgin olive oil. To do so, place the oil in a hot frying pan, let it heat and then add the chopped ingredients in. Let cook, stirring, until the onions are golden. At this stage, add the lentils, along with the laurel and the rosemary. Stir well and toast them for a couple of minutes. Add vegetable broth to cover the lentils completely and let simmer on a medium heat until cooked. This usually takes about 40 minutes. In case the broth evaporates, yet you find the lentils to be still hard, add some more broth, maybe a glass or two, and let it evaporate. Repeat until the lentils are cooked. Depending on how salty your broth is, you may like to add a pinch of salt to the stew while it is cooking. Serve the sliced zampone on top of the lentil stew and with a side of mash potatoes. Pandoro farcito means, literally, a filled pandoro. This particular recipe, which involve mascarpone cream and amaretto liqueur, is a favorite of one of my best friends, Antonio, who invented it one night last Christmas when, bored at home and surrounded by at least a dozen between pandori and panettoni, decided to get creative with it. The result is pretty damn delicious. First of all, cut the pandoro in slices: mind though, you must slice it horizontally, not vertically. Slices should get the shape of nice stars and be around 2 inches thick. In a large bowl place 4 egg yolks, preserving the whites for later. Add 200 gr of the sugar and beat until it is well mized in and pale yellow. Then add the mascarpone, the vanilla extract and keep mixing. This should be done either with a mixer or by hand, with a whisk. In a different bowl, beat the egg whites until firm. Mind, you do not need to add any sugar to them! Once they are ready, add to the mascarpone cream and incorporate slowly stirring from the bottom up, so that the egg whites do not loose firmness. If you like, you could also add some whipped cream in, to make the final result even more decadent. Now you are ready for the amaretto mixture: in another bowl mix the amaretto, the 1/2 glass of water and two tablespoons of sugar. Take a large plate, place a first slice of pandoro and douse it with the amaretto mixture. You can do this with a spoon to make it easier. Once this is done, cover the slice with the cream; place another slice of pandoro, but be careful! You should put it on the other so that the pointy edges of the slice are not coinciding, but at an angle with each other, as the final result should be that of a Christmas tree. Repeat the amaretto procedure, then add another layer of cream and go on like this until you finish all the slices. Once you are done, take 2 or three large skewer wooden sticks and stick them through the pandoro tree, so that it stays steady and up until it is ready for serving. Keep refrigerated until you are ready to eat it. Ideally, you should prepare it the night before serving it, so that all flavors can mix with each other well. Before serving it, sprinkle it with icing sugar (you should find a large bag of it in the pandoro box), or pour some melted chocolate on it and enjoy. And this is it: a list of gourmet ideas to enjoy New Year’s Eve Italian style. As usual, let us know if you try any of the recipes and tell us about your results: we are curious to hear from you all and your culinary experiences. 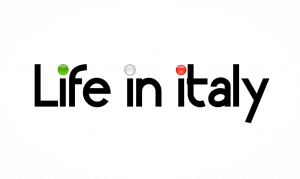 In the meanwhile, as Capodanno is nearing, we at lifeinitaly take the opportunity to wish you the best, most fun new year’s of always.